Established in August 1949 as the Department of Public Health Statistics, then in 1960 as the Department of Biostatistics, the Department of Biostatistics at the University of Michigan offers graduate programs in Biostatistics and conducts biostatistical and collaborative research in health-related areas. Faculty and students work on critical new areas of biostatistics methodological research, including image analysis, survival and event history analysis, statistical genetics and bioinformatics, clinical trials, Bayesian methods, statistical computing, longitudinal data analysis, methods for missing data, and survey research. See http://www.sph.umich.edu/biostat/. The Department works in close collaboration with faculty in the school of public health, medicine, nursing, dentistry and the institute for social research among others. Methodological and collaborative research is well funded through grants from the National Institute of Health and other government and private agencies. Doctor of Philosophy (Ph.D.): a research degree; students complete course work in biostatistics and an application area and write a dissertation. Master of Science (MS): a research degree; students complete course work in biostatistics and an application area. Master of Public Health (MPH): a professional degree; students complete course work in biostatistics and all SPH departments. Master of Science in CRDSA: in addition to traditional graduate programs, the department offers the On Job/On Campus Master's in Clinical Research Design and Data Analysis. This non-residential program is designed for those who want to obtain a master's degree in clinical research. 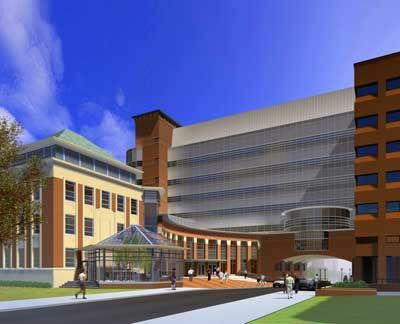 The Department of Biostatistics has several research centers: BORC (http://www.med.umich.edu/borc/), CSG (http://csg.sph.umich.edu/), BCMRC and CCB (http://roadrunner.cancer.med.umich.edu/). Our faculty provide also collaborative research as part of interdisciplinary research groups, including CSCAR (http://www.umich.edu/~cscar/) and MICHR (http://www.michr.umich.edu/).